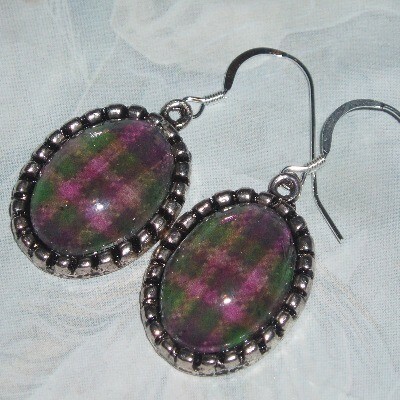 Tartan Earrings, Plaid, Scottish Clan. Very Scottish, perfect for a Bridesmaid, and the perfect gift to send overseas. Photo shows the earrings in Scotland The Brave tartan.